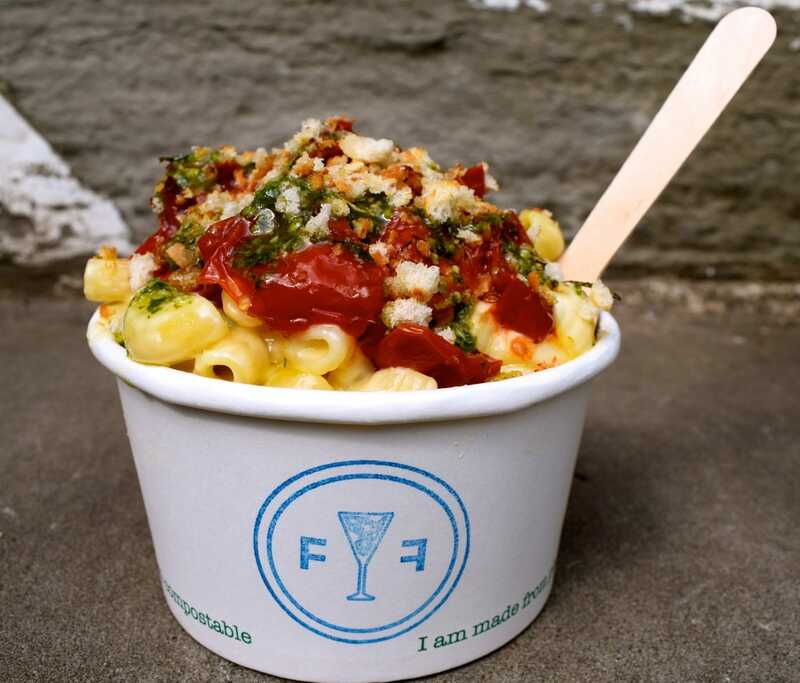 Macaroni cheese is a favourite in the British street food scene, but Fizz & Fromage have modernised this classic dish with tempting toppings like glazed beef brisket and slow-roasted tomatoes, and go the extra mile by serving all of their glorious dishes with a glass of prosecco! 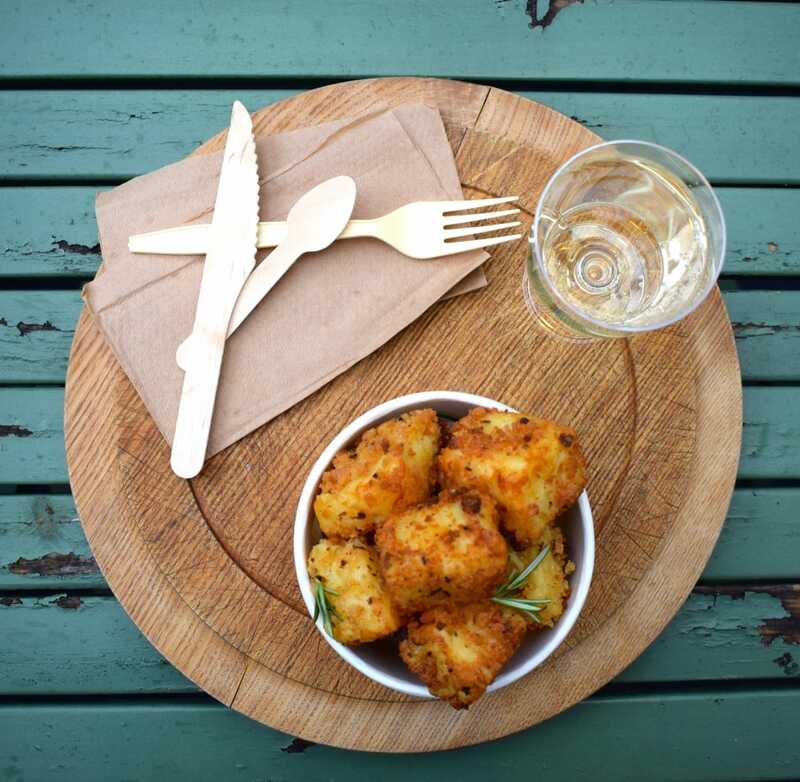 For a little cheese and booze indulgence whilst watching the tennis, Fizz & Fromage are a great choice. Feast It loves 'The Ham Pot'... their classic three cheese macaroni with bourbon glazed ham hock, parsley oil, rosemary, mustard and breadcrumbs, served with a refreshing glass of bubbly. 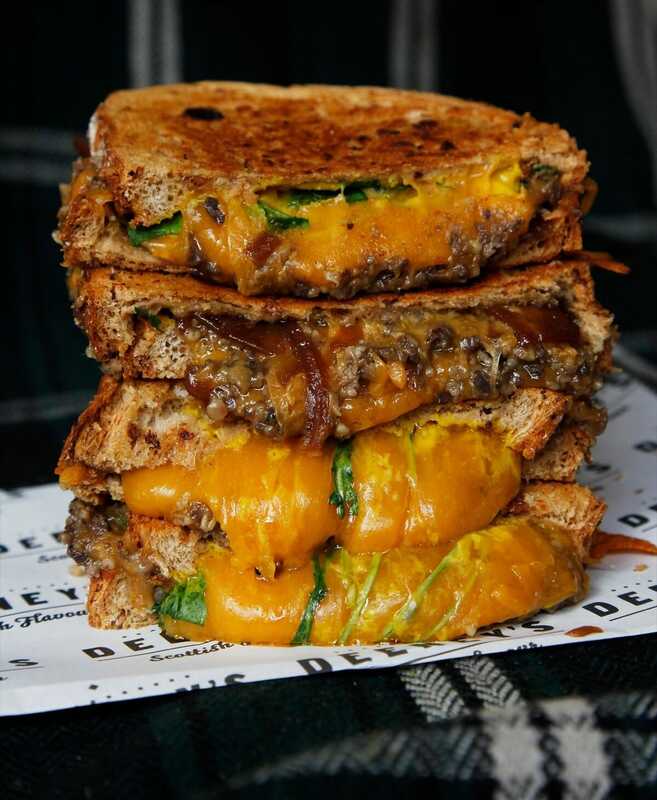 Catering that Andy Murray would be proud of, Deeney’s specialise in cheese toasties inspired by the bold and traditional tastes of Scotland! Considered one of London’s best sandwiches by a plethora of publications, including the Evening Standard and The Telegraph, Carol and Paddy use iron griddles to lock in all that cheesy Scottish flavour. Feast It loves 'The Balmoral'... A crispy wrap filled with smoked cheese, chicken, haggis, rocket and whisky crème fraiche. 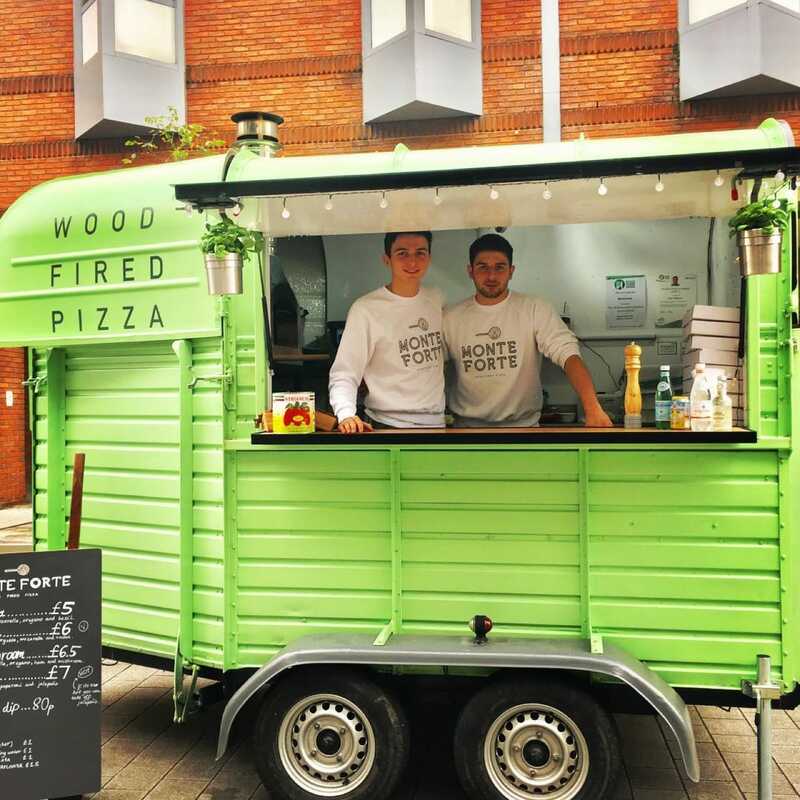 This charming mobile pizza kitchen is run by brothers Paolo and Luca, who use a wood-fired oven inside their green horsebox trailer to produce some of the most delicious Neapolitan style pizzas we’ve tried! Expect light, soft and puffy dough crusts and classic, high quality toppings from Monte Forte. If you’re having a large Wimbledon party, pizza can feed the masses without compromising on flavour. 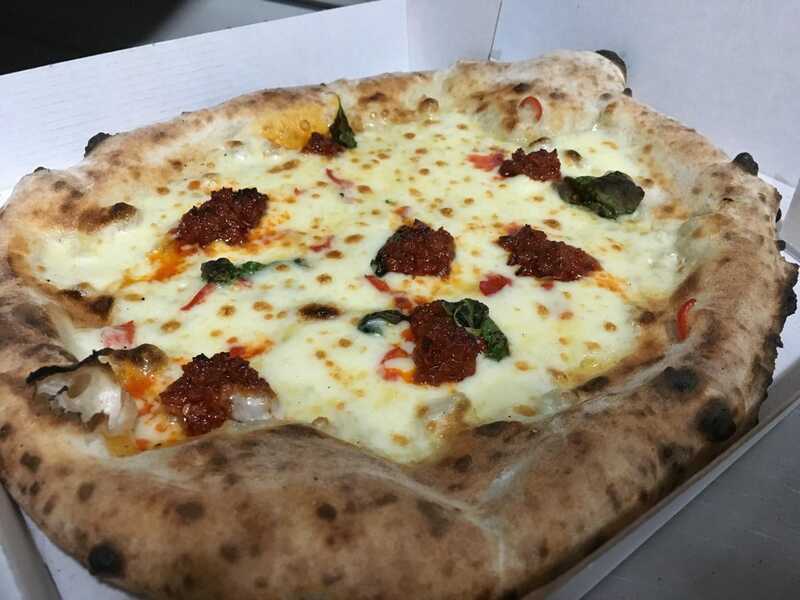 Feast It loves the 'Nduja'... a double mozzarella and parmigiano base with fresh basil, red chillies and plenty of rich nduja salami. 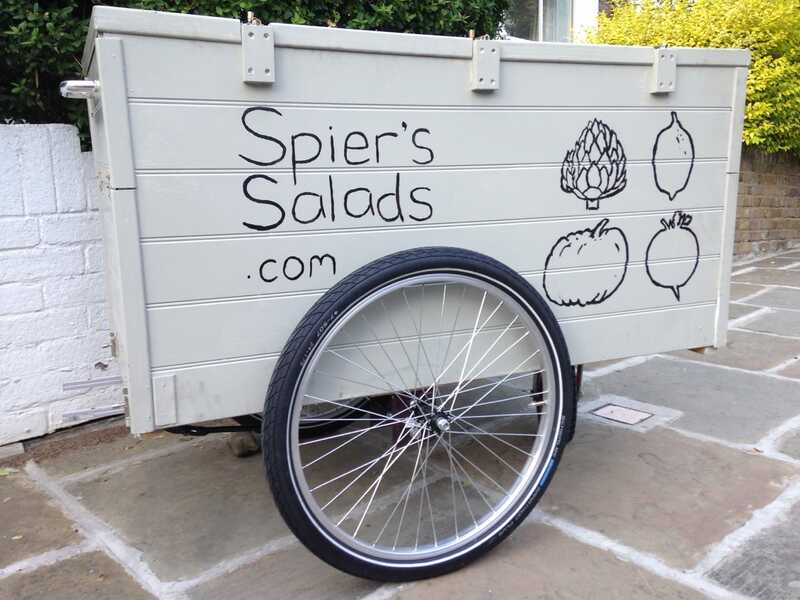 Spier's Salads is a family-run business specialising in posh kebabs with expertly griddled meats and incredibly colourful and seasonal salads and canapés! They also make a range of mean stews, including mushroom, beef and butterbean. Looking for a healthy and colourful spread for your Wimbledon party? Spier's are the perfect solution. Feast It loves the 'Quinoa Salad'... a beautifully fresh salad with quinoa, broccoli, and pomegranate and almonds in honey with a Dijon dressing. 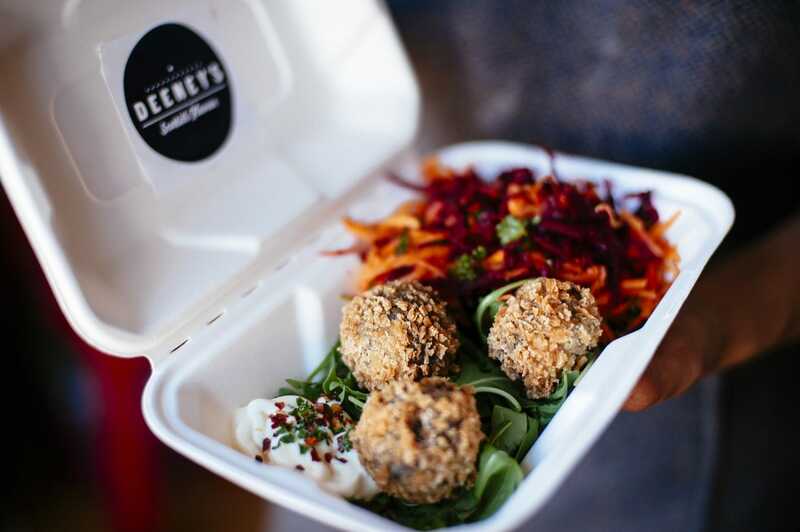 Free-range, hand-shredded, slow-roasted meats inspired by flavours from around the globe, made into mouthwatering sandwiches, salads and wraps with 100% homemade sauces by Sticky Beaks! 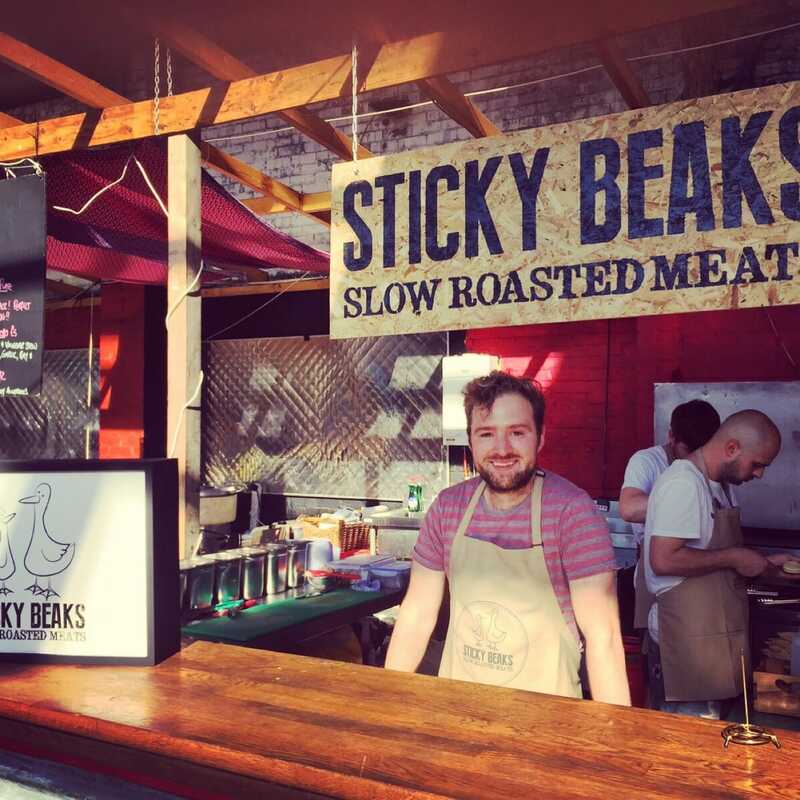 They also do a sweet and smoky pulled jackfruit for the veggies and vegans, so if you want your tennis party guests to dine on seriously succulent meats, Sticky Beaks will do the trick. 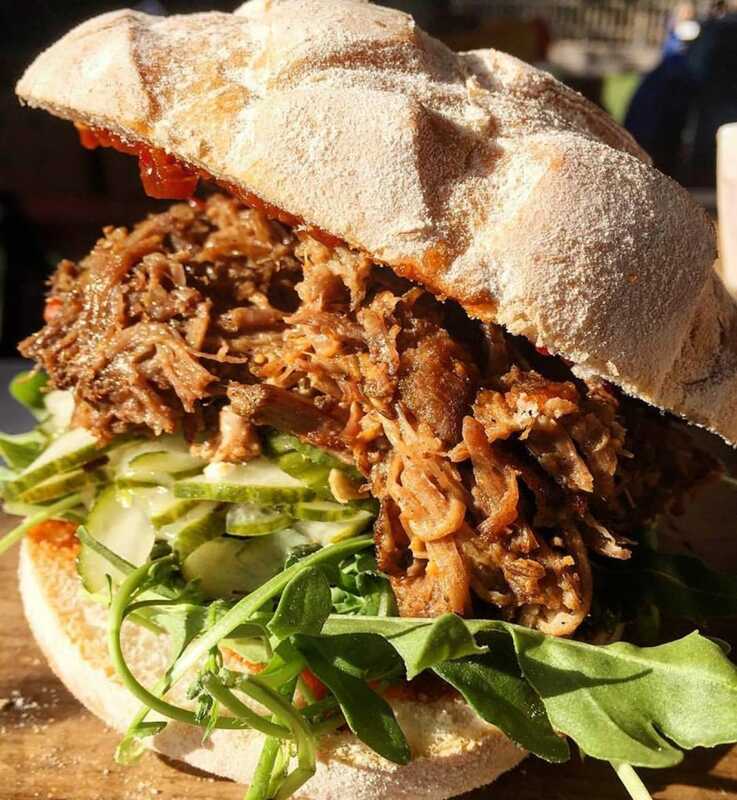 Feast It loves the 'Shredded, Slow-roasted Spicy Goat Leg'... succulent pulled goat covered with a coconut curry sauce, cucumbers pickled in caraway and mustard and crispy fried shallots, served in an artisan bun, khobez wrap or with couscous in a salad box. 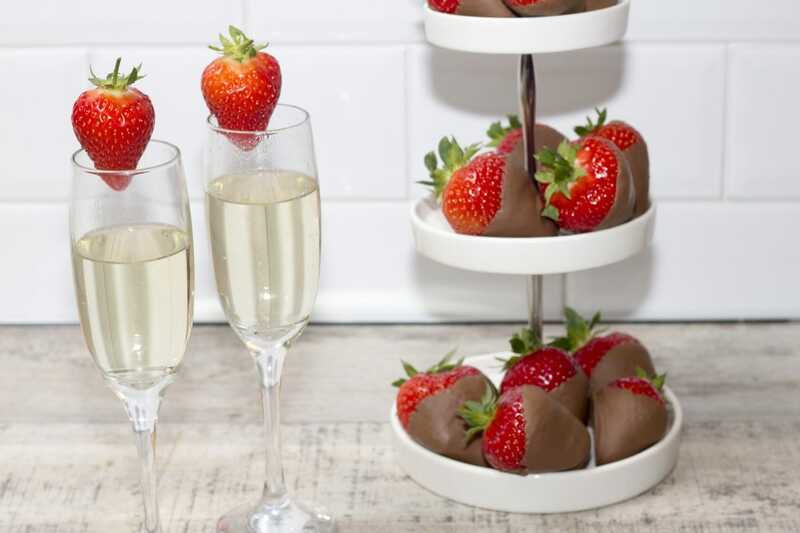 There's no doubt about it, The Artisan Strawberry Van is the quintessential caterer for your Wimbledon celebration! 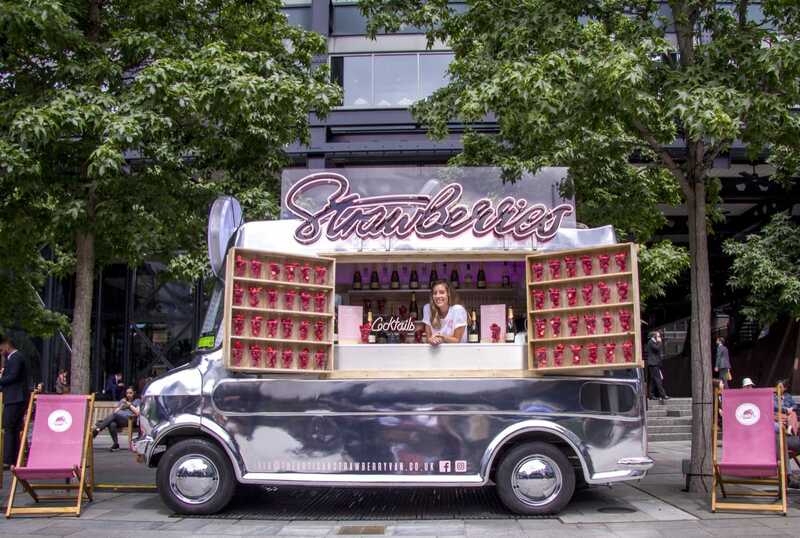 Not only do they have a visually stunning truck with it’s very own LED 'Strawberries' sign, they serve every strawberry item you could imagine. From Eton Mess and cocktails, to smoothies for the kids, this is the ultimate choice. Feast It loves the Strawberry Margarita accompanied by fresh British strawberries covered with melted Belgian chocolate and crumbled cookies. 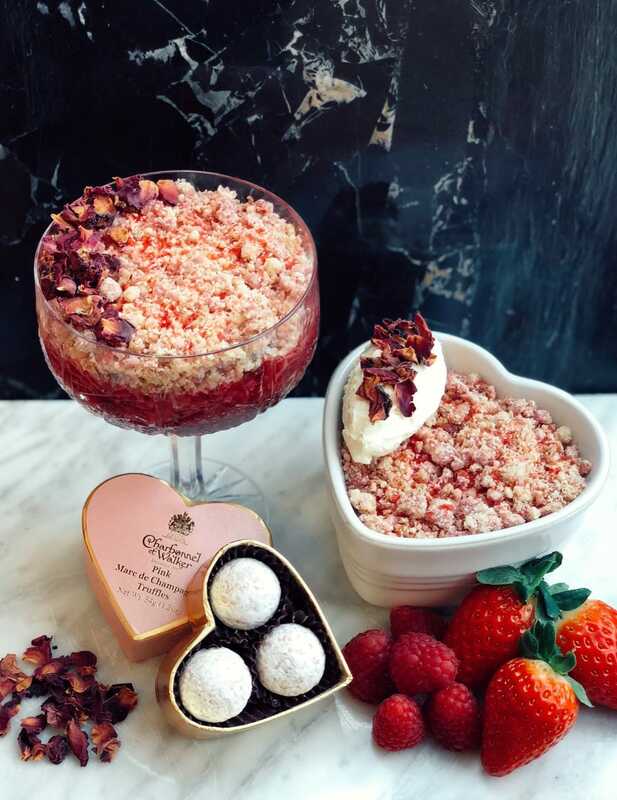 Feast It loves the 'Fizzicle'... a British crumble made with fresh strawberries, raspberries and apples with a Prosecco twist! 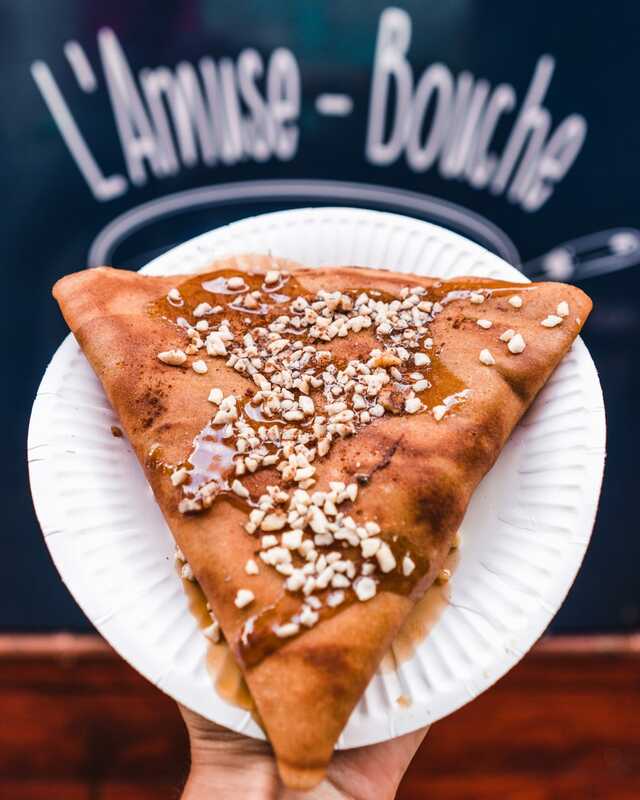 The creative chefs behind L'Amuse Bouche make the most delicious and top quality crepes based on traditional French recipes. 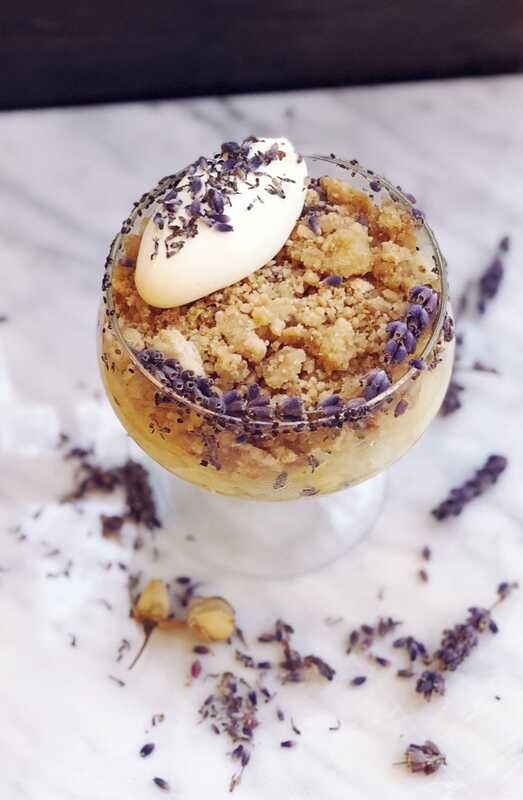 Not looking for dessert? L’Amuse Bouche also make tasty galettes, which come in a range of flavours, like The Goaty, made with a red onion chutney, spinach and creamy goats cheese! Feast It loves the Salted Butter and Caramel crepe with the classic 'Suzette' for seconds, made with lemon, sugar and Grand Marnier. The recipe and idea for these little pancakes come all the way from Holland, where they are fondly known as 'Poffertjes'. 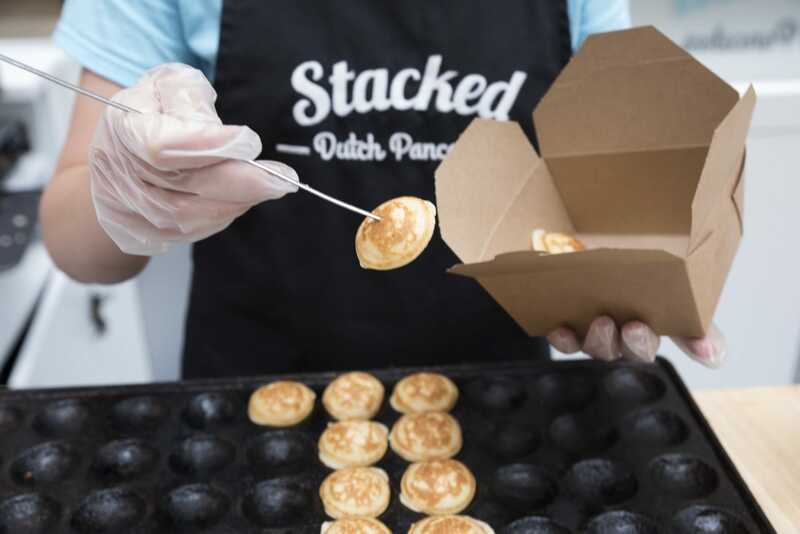 Stacked make their miniature puffy pancakes on a cast iron griddle, whipping up over 100 at a time before serving them fresh and hot with all the sauces and toppings one could dream of! 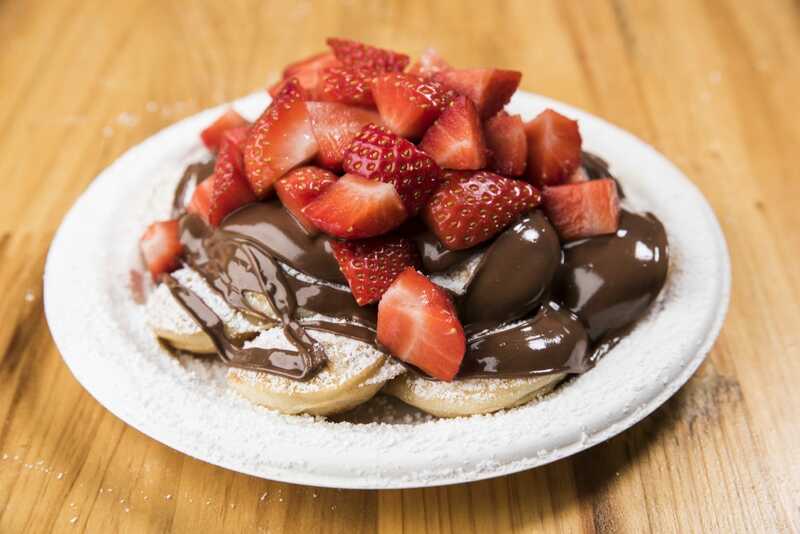 Feast It loves their 15 mini Dutch pancakes topped with melted Belgian chocolate, strawberries and sliced almonds. 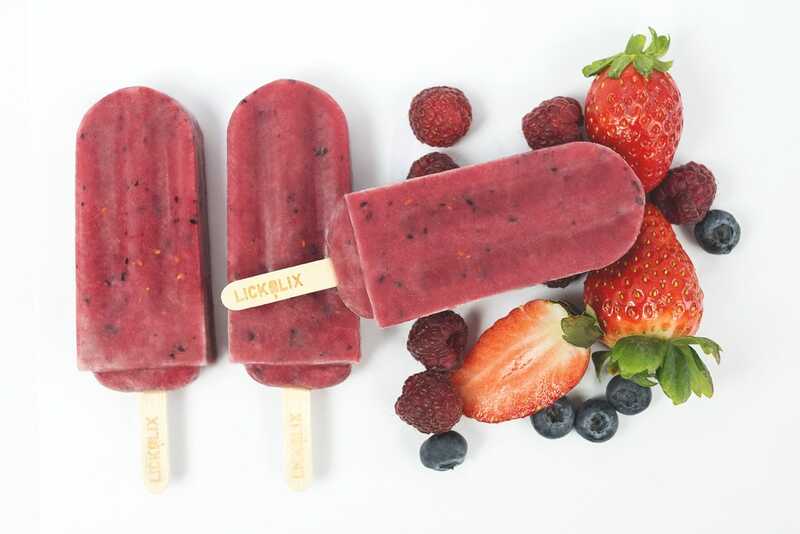 These organic, natural and 100% whole fruit ice lollies are serve from an awesome VW Camper called Kenny and are a firm favourite with Jamie Oliver. 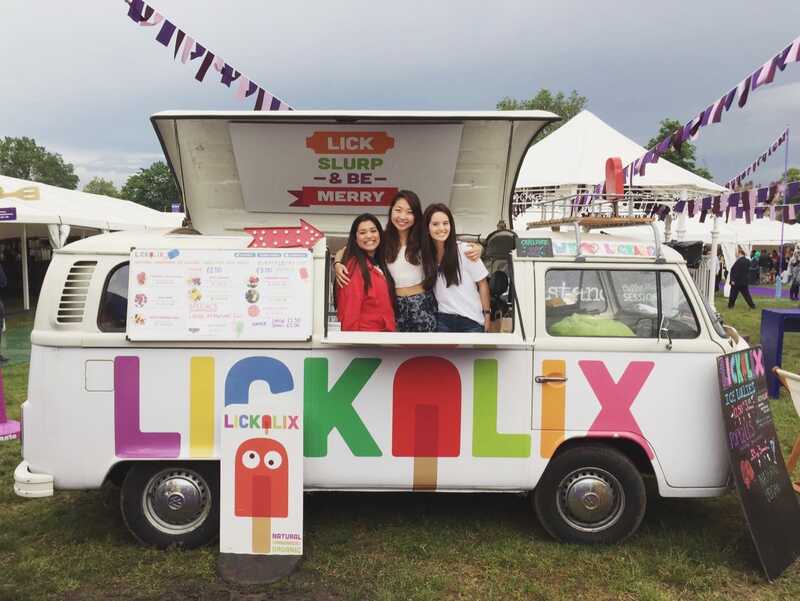 Lickalix make their lollies in 7 fun and fruity Latin-American inspired flavours, as well as a few types of frozen alcoholic poptails. Feast It loves the Strawberry Lemonade and Strawberry Banana lollies, perfect for a Wimbledon party on a hopefully hot and sunny day! Have you ever had a G&T and thought, “I'd love a little pot of olives”? 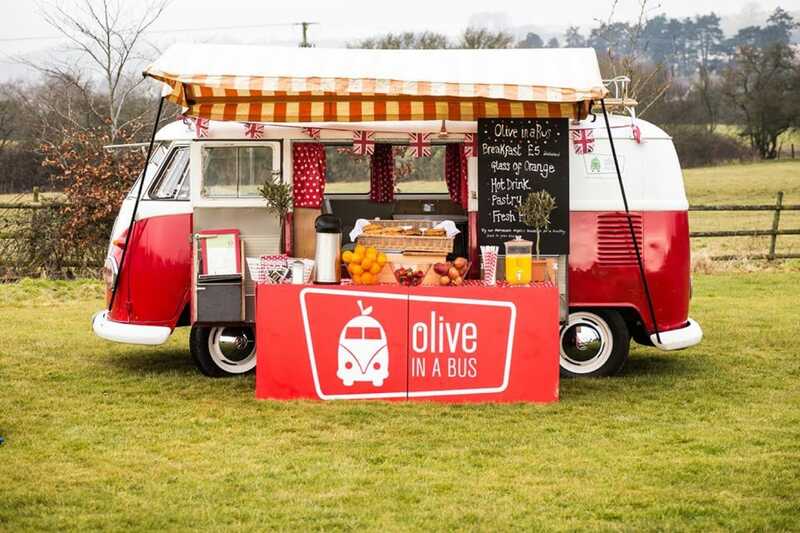 Well your thoughts have been heard, because Olive in a Bus do just that. 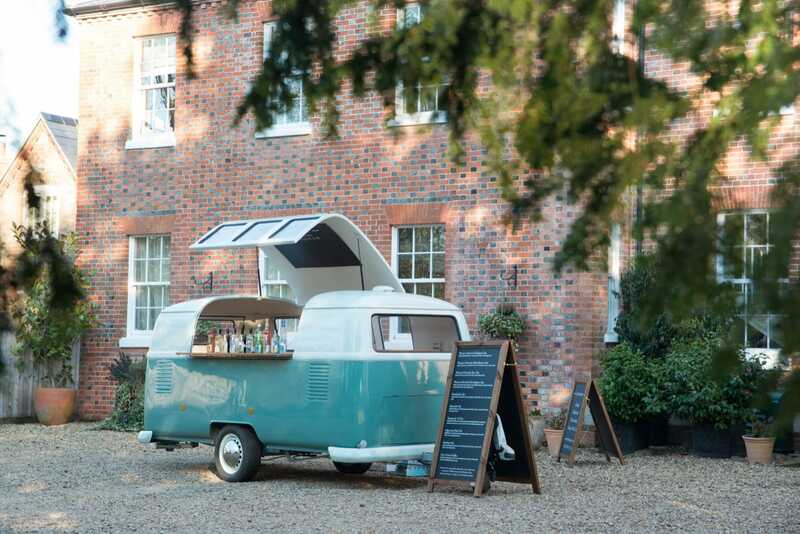 They serve their range of botanical and artisanal gins with premium tonics and fresh garnishes, accompanied by your choice of hummus, olive boxes and charcuterie boards with homemade chutney and local cheeses, all from a red VW Camper! 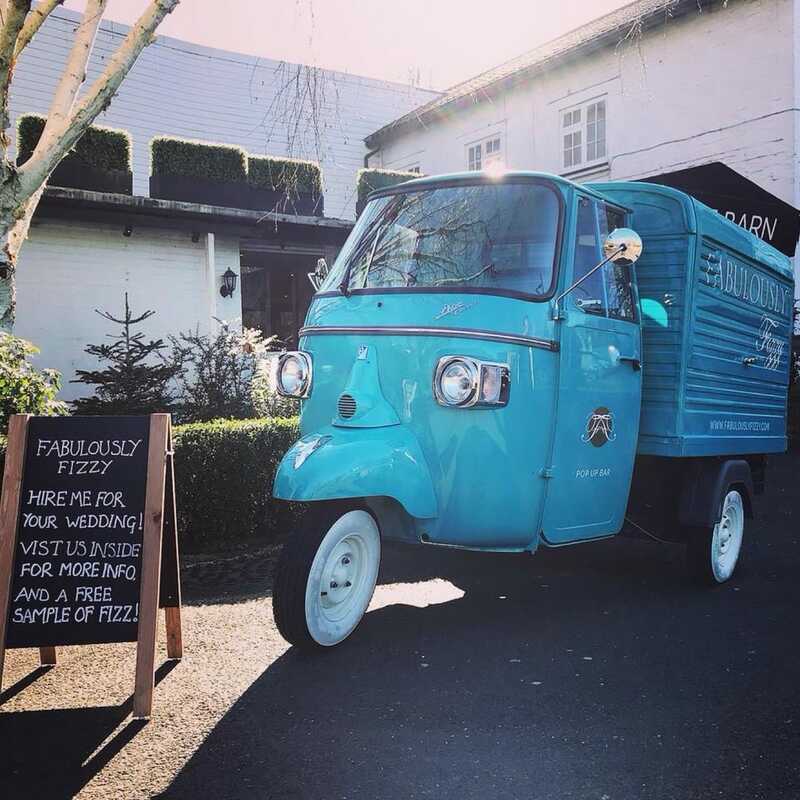 Serving prosecco from an iconic Piaggio Ape Classic, Fabulously Fizzy is an elegant mobile bar with four serving taps and a wine fridge built in! Your guests can also sip on pimped out prosecco with flavoured gin and vodka liqueurs. These striking mobile bars from In Fine Spirits serve a range of alcoholic beverages including over 20 high-end gins, a selection of wines, cocktails, champagne and prosecco. They have a light green VW Dub Box and a dark green 1968 Bay Window that will look beautiful in your garden this summer. 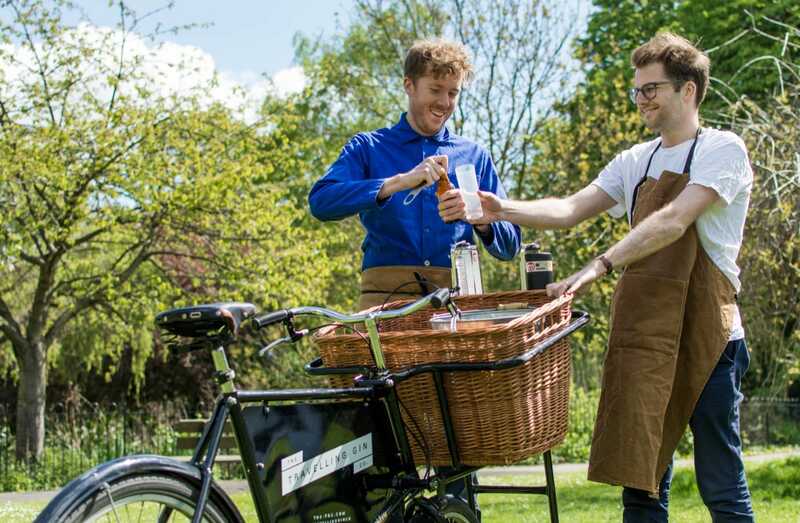 A really charming concept for a mobile bar, The Travelling Gin Co. serve signature gin and tonics, mocktails and seasonal cocktails from the baskets of their vintage delivery bicycles. 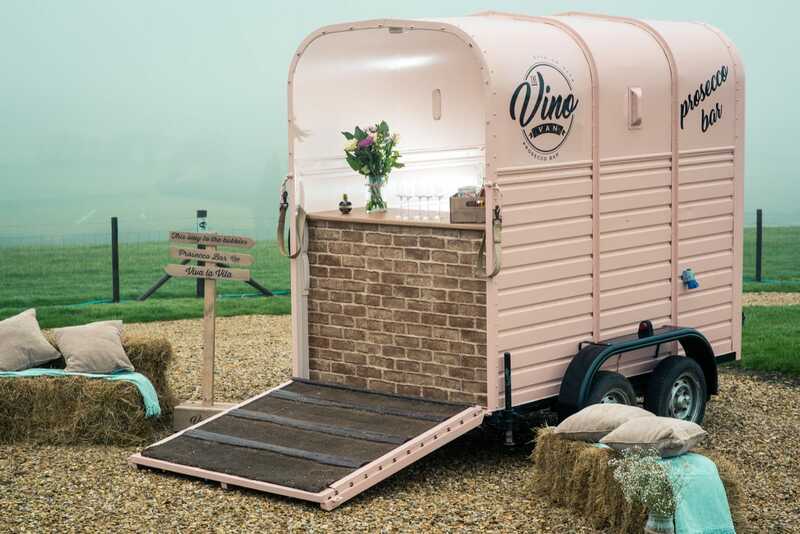 The Vino Van is a stunningly renovated light pink horsebox bar, serving prosecco, gin and tonics, prosecco cocktails, spirits, bottled beer and real ale! 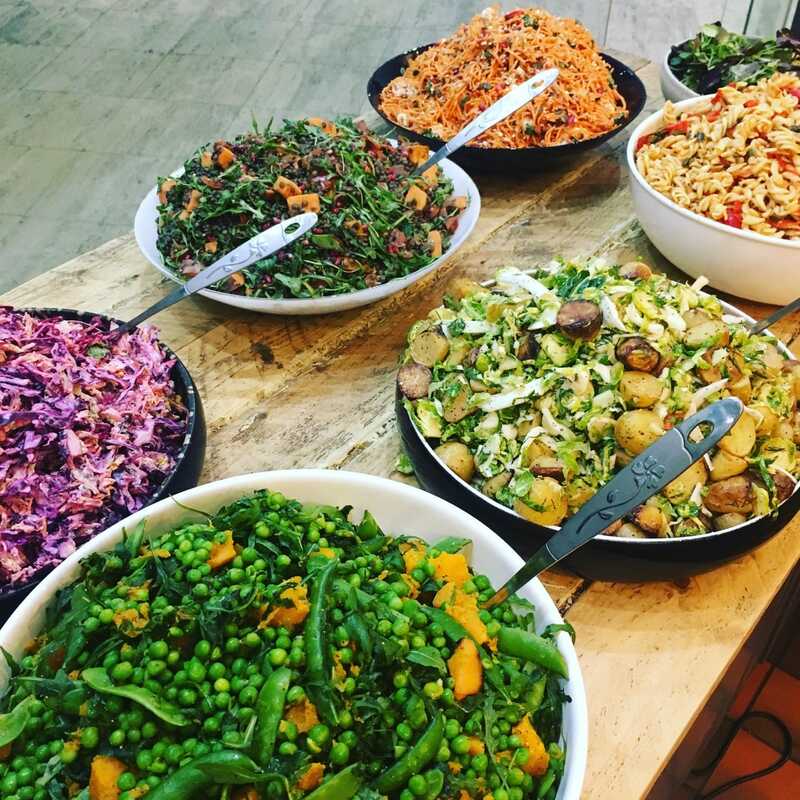 These are just a few of the caterers that you can hire for your wedding, party or corporate event on Feast It. We have over 350 more of the finest food and drink suppliers in the country for you to browse through. Tell us about your event today by filling out our simple enquiry form, which only takes a few minutes. Once you've done so, your personal event expert will be in touch to recommend the perfect caterers for you and to provide you with a competitive quote!